Regardless of how stained or tarnished, your oven might be, you can rely on our help with this tiresome task. We work with both domestic and commercial ovens and by doing so, we leave you assured that the sanitation we provided allows you to cook in a healthy environment. The wonderful and high-quality service we offer has been the first choice of multiple restaurant owners. 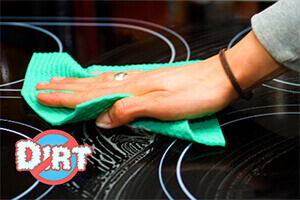 Our cleaners will inspect your oven following with dissembling all the removable parts like racks, grill pans, trays. They will soak it in a solution to dissolve all the grease, oil, leftover food and bacteria. They will also clean the inside and outside of your oven. Our team works with the finest equipment on the professional market and will easily sanitize your oven. The detergents we use are eco-friendly and toxin-free. Nevertheless, their substances ensure the removal of every stain, harmful particle, grease or food rests, etc. Our prices are calculated based on the specifics of your project. We offer top quality, without making you go bankrupt. We offer various discounts almost all the time, too. Booking an End of Tenancy cleaning for over £120? You receive a free professional oven cleaning. Book a single oven combined with hob and extractor and pay £79. Use our customer support service whenever you have a question or want to book a service. The operators are available around the clock, they are competent and experienced, so they can handle any request you may have.